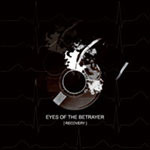 Kansas City, MO natives Eyes of the Betrayer' five-track metalcore display borrows from the Swedish metal scene quite a bit, making RECOVERY a smidgen more brutal than many other albums. A well-placed death growl also accentuates songs like "Icarus Demented" from being merely average, yet the same tired singing parts that reoccur in so many band's arsenals rears it head here, detracting the overall feel of the song. When these guys get low and fast, they seem unstoppable, and while this five-track disc clocks in at about 30 minutes, there's not a lot of meandering going on, just a lot of impressive twists and heavy-handed turns that allow EYES OF THE BETRAYER to stand out ahead of the metalcore pack.